Registration opens February 4th, 2019! 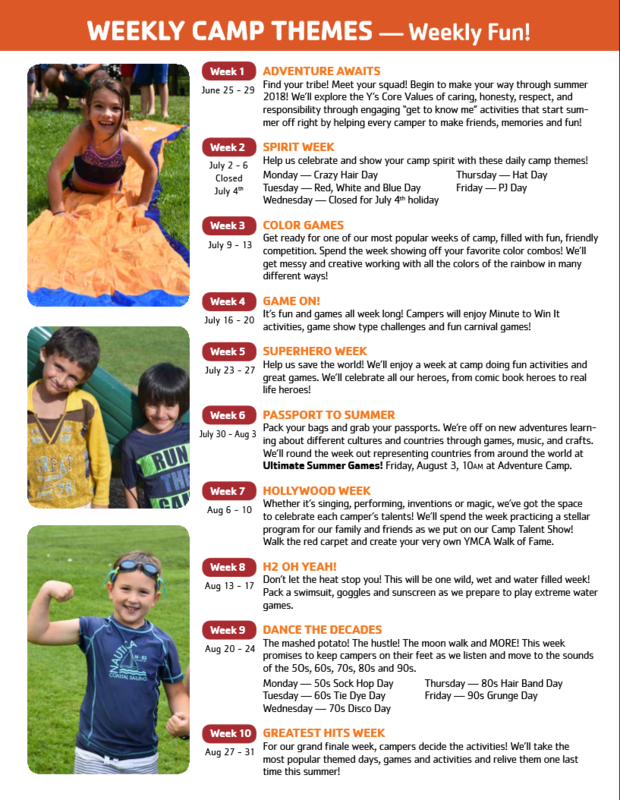 Register for Summer Camp online or download a PDF version of our Camp Brochure. 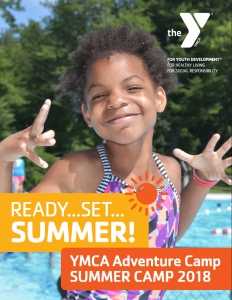 YMCA Summer Camp is Great Fun! Great Value! Our Summer Camp is in full swing from 9:00am until 4:00pm, Monday through Friday, with lots of fun things for your child to experience each day. 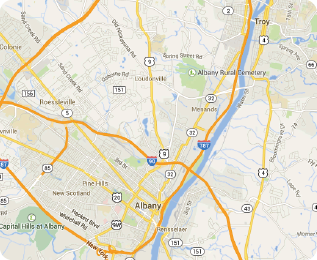 In addition to a high-quality summer camp experience, we also offer before and after camp care at no additional charge! From 7:00am to 9:00am and from 4:00pm to 6:00pm, we care for your child before camp starts each day and after it ends each day at no additional charge. That’s a savings of at least $40 each day for each child. With our sibling savings option, you save more for each additional child you send together to camp. For each additional child who attends camp, you save $10 a week! That’s a savings of $100 for each additional child who spends the summer at the Y! Upon registration, you will receive an email from CampDoc.com requesting medical information, immunization records, emergency contacts and authorized pickups, as well as approve medical emergency, photo/video permission, activities, and sunscreen release forms. This is all completed online. Register Online For Summer Camp Today!